Raumfahrt+Astronomie-Blog von CENAP - Blog: Astronomie - What is the computational power of the universe? ... The universe has already processed a similar problem physically. Everywhere you look, empty space has a background energy density that is very close to zero. Can a close look at the universe give us solutions to problems too difficult for a computer - even if we built a computer larger than a planet? Physicist Stephen Jordan reflects on this question in a new video by the National Institute of Standards and Technology (NIST), along with a new scientific paper that considers one particular tough problem the universe might answer. In The Computational Power of the Universe, Jordan does not imagine what we could learn if humanity somehow converted the entire cosmos into a vast computing device (however marvelous a science-fiction premise that idea might make). Rather, he asks, now that the universe has undergone billions of years of change in accordance with the laws of nature, can we use what we see through our telescopes to gain insights into difficult computational problems? After all, computers crunch numbers to simulate complex change. 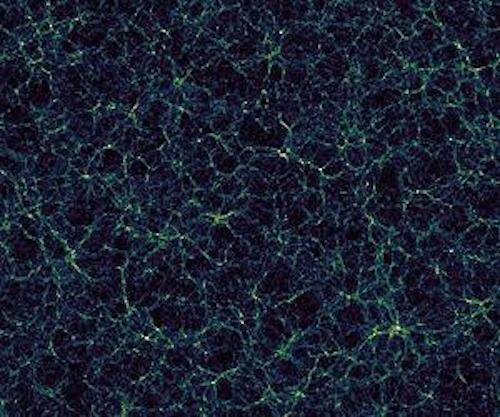 What if we consider the cosmos to be the output of a 13.7-billion year computation? Jordan's new paper - one in a series he and his colleagues are working on - looks at a specific example. One computer-stumping question is called the number partitioning problem: If you had a pile of millions of very large numbers and wanted to divide them into two equal piles, how would you do it? The math is so difficult that it's been considered as a practical basis for cryptography. As it turns out, the universe has already processed a similar problem physically. Everywhere you look, empty space has a background energy density that is very close to zero. This near-zero value, which Einstein referred to as the Cosmological Constant, implies that the balance between energy contributions from different fields related to fundamental universal forces somehow got sorted out well enough that we ended up with a fairly stable material universe. In essence, we live in a particular solution to partitioning. Are there other tough problems out there to which the universe holds a shortcut? ...to be continued.